This past week has consisted of a lot of eating and a little exercising. The doc has told me to relax a bit since I sprained something in my knee. 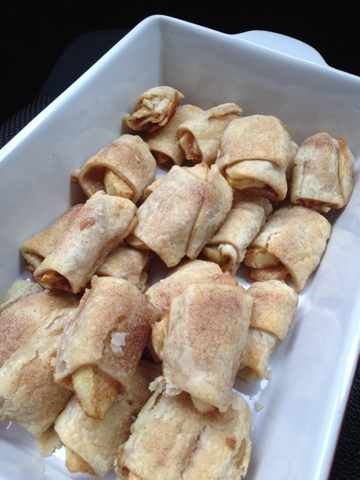 Instead, I've spent a lot of time cooking/baking and eating out with friends. 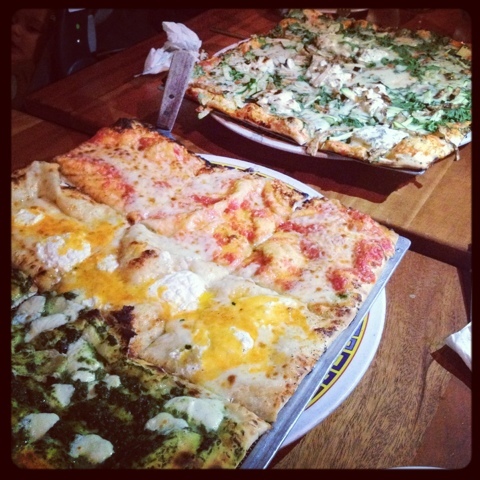 Joe Squared pizza. Highly recommend the veggie pizza. 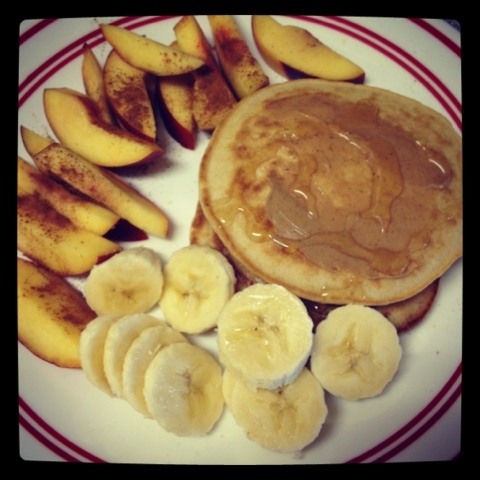 Fiber One pancakes with honey and peanut butter, bananas and peaches. 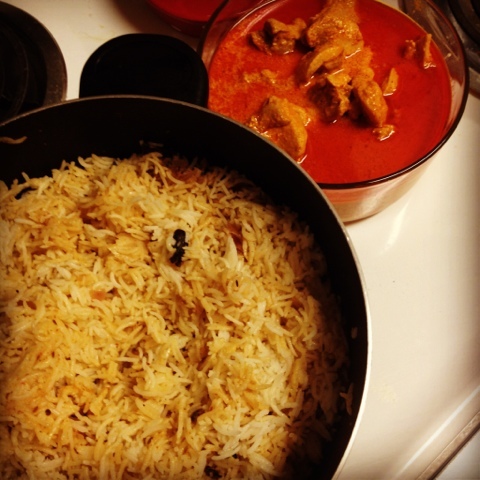 My first attempt at making indian food! Butter chicken and rice. I rarely eat rice, but this dish is the best with rice. 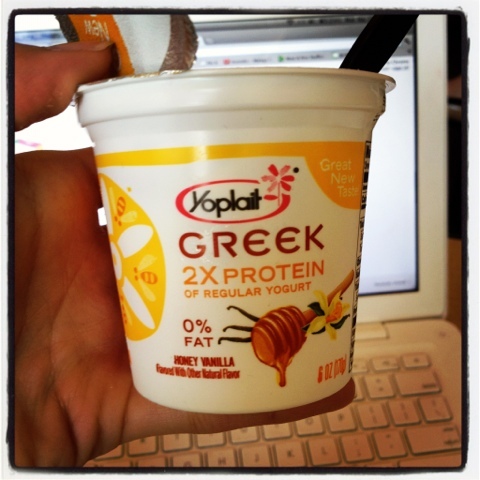 Just discovered this amazingness.. Greek yogurt with honey. Simply amazing and good for you! 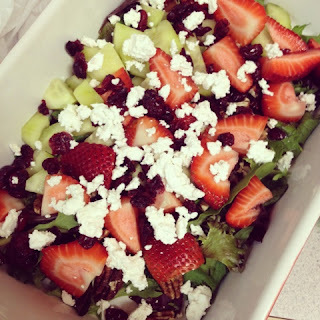 Strawberries, craisins, feta, spinach, cucumbers, pecans and strawberry salad dressing. 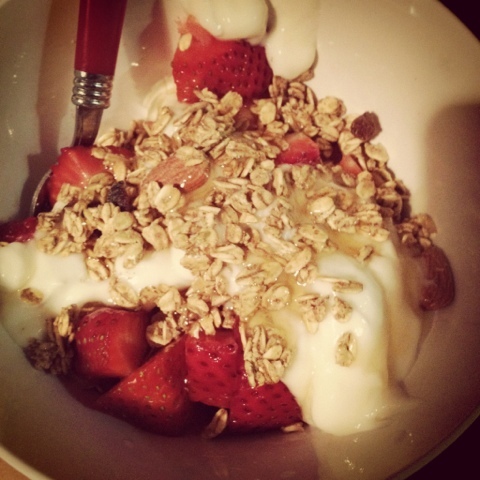 Yogurt, granola, flax, almond, strawberries, bananas and honey.